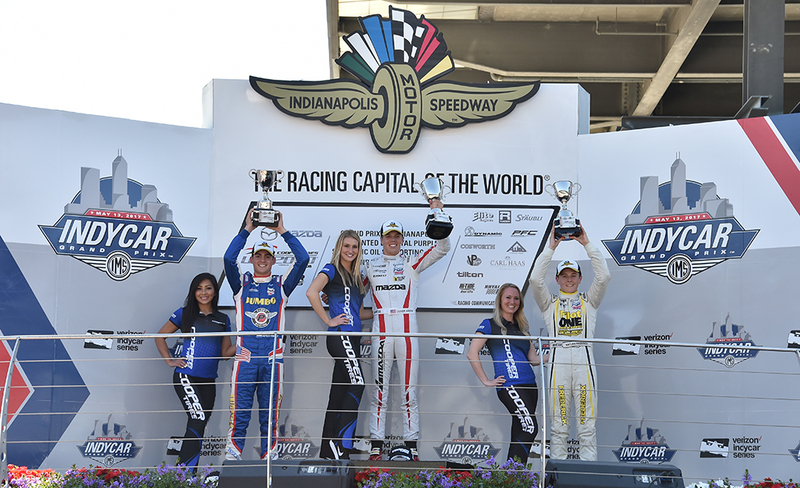 Indianapolis Grand Prix Results: K-Rex Qualifies 2nd for both Race 1 & 2 and podiums again!! Indy Highlights: Kaylen finished 2nd place at Indianapolis Grand Prix in Race 1, however a DQ after Tech Inspection (missing spring in upright bearings) rescinded the points. Kaylen fought back in Race 2 with a P3 finish, now 3rd in the USF 2K 2017 Championship Title Race! 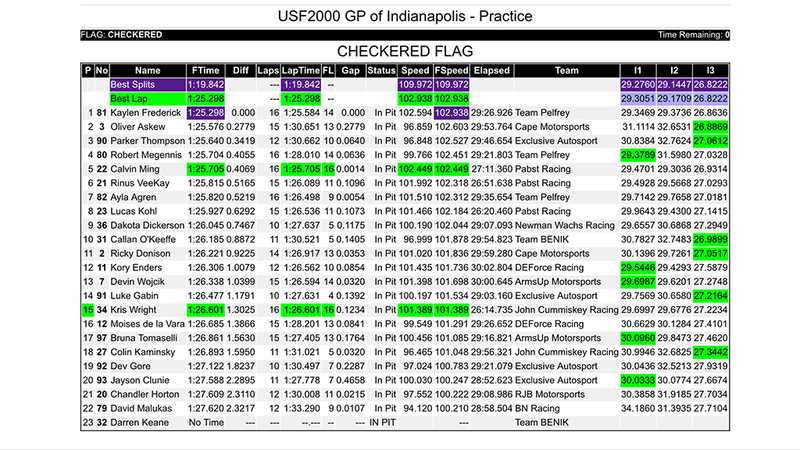 K-Rex tops the charts in the final official timed practice on Thursday before race day! Team Pelfrey showed good pace throughout the event on the 2.439-mile road course. Despite the various weather conditions, from cold and damp, to hot and slick, it was Kaylen Frederick who paced the first official timed practice session and ended up qualifying on the front row in second position for both races. 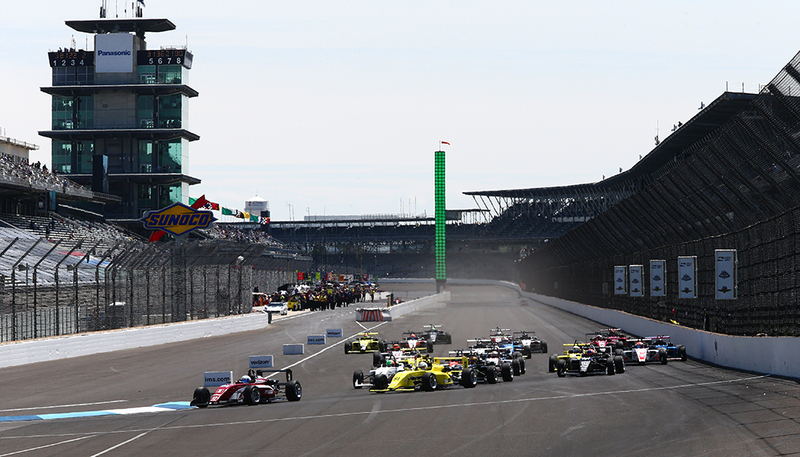 As the first 30-minute race of the weekend got underway, the Team Pelfrey drivers avoided an incident on the first lap which ultimately only allowed the drivers a frustrating 10 minutes of racing under green flag conditions. K-Rex drove to another very strong second place finish. 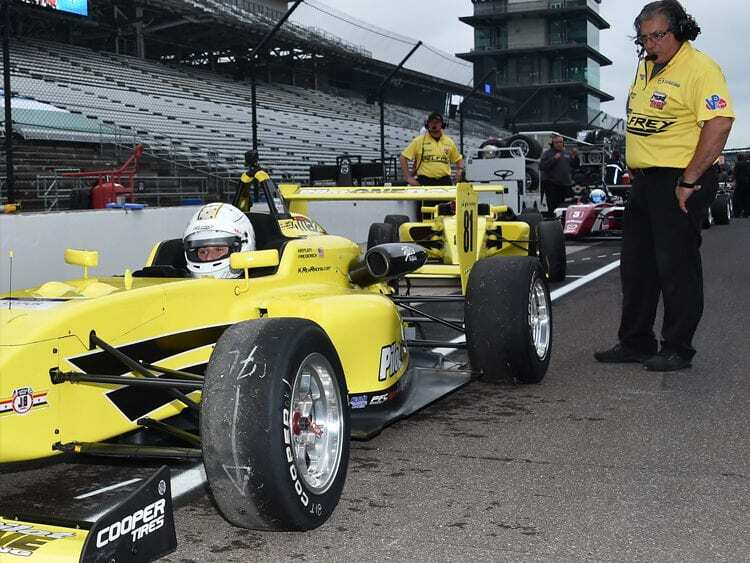 However, after the race, Team Pelfrey drivers Rob Megennis and Kaylen Frederick were disqualified for a violation of rule 14.28.9, which stemmed from modifications to uprights (missing spring from bearings). 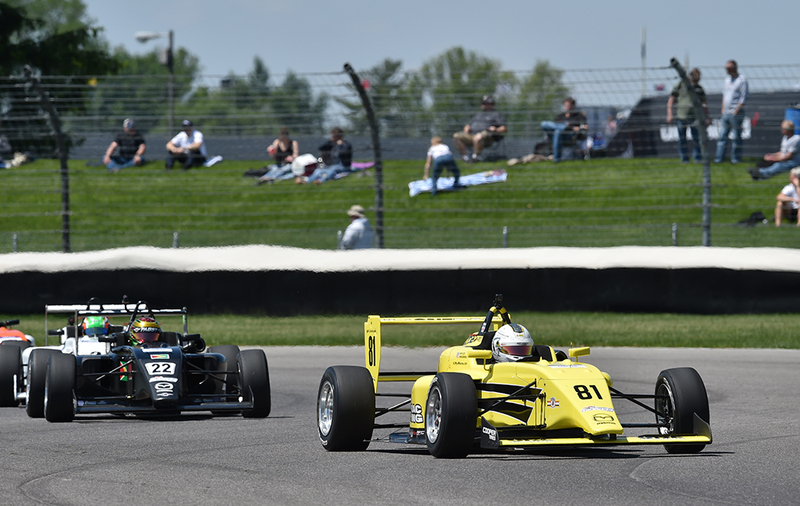 Team Pelfrey respected the decision and would move on to Race Two with high hopes. Having qualified 2nd again, Kaylen Frederick started on the outside of pole-sitter Oliver Askew. When the green flag dropped, Kaylen drove an excellent line and had speed into turn 1 looking to overtake the pole-sitter. The 4th place car put an end to the move hitting Kaylen in the side pod and shuffling Kaylen back to 3rd. Additional incidents in the 5 laps that followed, including four wheels off in turn 2 shuffled Kaylen back to P7. 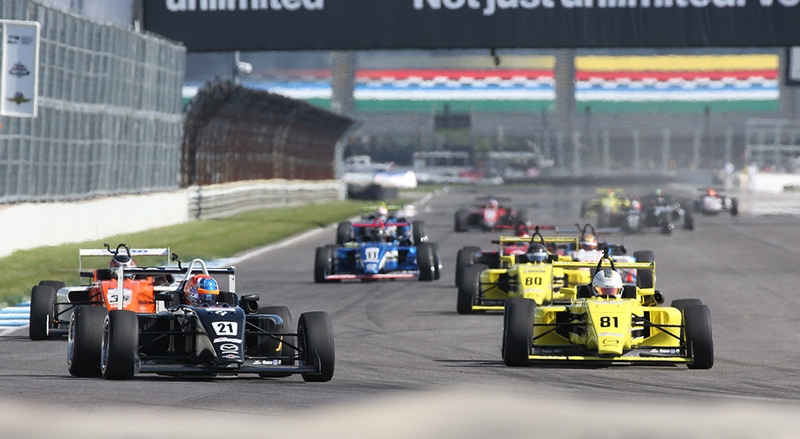 Determined to recover positions, Kaylen fought back and through successive overtakes moved into 5th place. In a last lap dash, Kaylen completing a double pass for the final podium spot, cementing his third podium finish on the Mazda Road to Indy Presented by Cooper Tires! After a month-long hiatus, K-Rex and Team Pelfrey’s USF2000 Series team will compete at the historic Road America circuit, June 23-25. Follow Kaylen Frederick and Pilot ONE Racing on Instagram, Twitter and Facebook to stay up-to date on the latest news and developments.